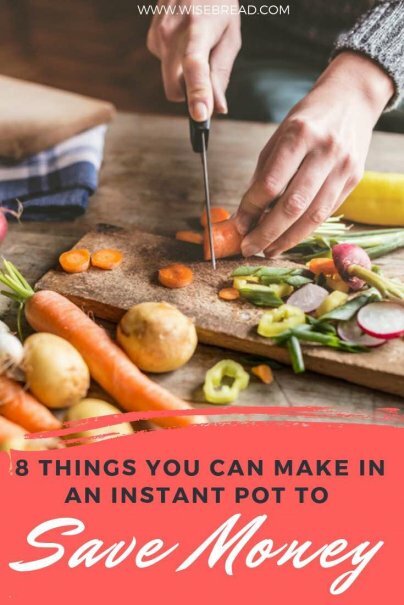 The Instant Pot is truly an amazing kitchen gadget that saves you time when it comes to meal prep. You probably already know that you can make delicious fall-off-the-bone ribs and perfectly cooked hard-boiled eggs with your IP, but did you know you can make other everyday necessities? Here are eight items you can make in an Instant Pot to save money. Treat your pupper to some divine goodness with homemade dog food. Making your own dog food in the Instant Pot is a great way to create several days' worth of food in less than 30 minutes. Homemade dog food can sometimes save owners money over conventional pet food, and can help remedy pet issues, like weight or skin problems. Note that many homemade dog food recipes, even ones made in an IP, are not meant to meet all of your dog's health needs. Be sure to research what other nutrients your pet needs in their diet. The problem with many over-the-counter cough medicines is that they can cause drowsiness, and parents have to buy an adult version as well as a children's version for safety reasons. This Instant Pot cough syrup is safe for both kids and grown-ups and uses fresh herbs to bring natural relief to stubborn coughs. Once summertime arrives, peaches and strawberries will be everywhere. You can stretch the taste of summer into fall and winter by transforming summer fruits into jam. The Instant Pot drastically cuts the prep and cooking process so you can enjoy your toast sooner. Here's a recipe for honey vanilla peach jam and strawberry jam. I'm sure many of us would love to start our mornings off with a heaping plate of French toast, but who has time for that? With the Instant Pot, you can whip up a delicious batch of French toast in 30-45 minutes, giving yourself a fantastic breakfast even on work days.